Dr. Dan Anderson, M.D., is a physician informaticist at National Decision Support Company. He has practiced both hospital and emergency medicine and has worked extensively in clinical decision support and educational technology. Dr. Anderson has held leadership positions in multiple software companies specializing in health informatics and continues to innovate at the intersection of medicine and computer science. The Advisory Board’s 2018 annual survey of healthcare CEOs revealed a new top priority for healthcare leaders: cost containment. Previously favored growth strategies are less able to mitigate shrinking margins as reimbursements wane and the cost of doing business continues to mount. The problem is compounded by steady transition to value-based payment and risk-sharing models, as well as the aging US population and its concomitant shift to federal payment systems. Moody’s reported that 2016 annual expense growth for not-for profit providers exceeded revenue gains by 1.2% (7.2% versus 6%). Rising cost was driven primarily by higher labor costs, technology investments, and increasing costs for medications. Experts expect this to continue and compound, fueling the surge in hospital mergers and acquisitions. Since 2000, over 2,500 hospitals have been involved in mergers or acquisitions, with the rate tripling since 2004. Despite the widely held belief that mergers mean significant cost reduction, evidence of this has been hard to find. Hospital costs continue to mushroom, now at over 10 times that of 1980. A recent study, published in the Journal of Health Economics, reported that although the biggest system mergers lowered costs about 7.5 percent, systems under 10 facilities saw only 3.4 percent cost reductions and independent hospitals saw virtually no improvement. This all paints a bleak picture for hospitals, especially if they incur looming CMS payment reductions under PAMA and the Affordable Care Act. In some cases, the magnitude of those reductions could actually exceed the narrow margins they are operating on. Luckily, there is untapped opportunity for further cost reduction on a fairly large scale by reducing variations in care and eliminating unnecessary testing. The challenge is to build and deliver a solution that can be easily integrated in complex hospital systems and workflows, in a minimally invasive way that brings real value and lasting, measurable results to the organization. The best successes have involved a combination of Clinical Decision Support (CDS) with institutional commitment to a continuous process-improvement framework comprising feedback, education, and accountability at all levels. The best designs are proactive and self-correcting, rather than reactive or punitive. Developing CDS is expensive and requires considerable high-level resources, making it impractical for most organizations to develop themselves. National Decision Support Company (NDSC) serves as a central source of best advice and brings years of experience integrating this advice into EHR and hospital workflows. Hospitals save millions of dollars by not having to create, curate, and integrate their own CDS, while their providers are confident that the advice comes from top specialty societies and academic medical centers. The CareSelect™ Platform draws from the American College of Radiology’s long-respected Appropriate Use Criteria for advanced imaging, along with other Qualified Provider Led Entities like the American College of Cardiology and the National Cancer Care Network. In addition, NDSC works closely with top academic centers namely the Mayo Clinic, Johns Hopkins, Cleveland Clinic, and others to continuously refine the CDS content and delivery. NDSC’s CareSelect platform is an enterprise solution that controls costs by reducing variation in provider resource utilization, guiding providers to the most efficient strategies for diagnosis and management while curbing over utilization and unnecessary or duplicative testing. Health systems leverage NDSC technology and services to benchmark providers and processes and identify opportunities to reduce their overhead. They choose from thousands of rules proven to impact the metrics that they prioritize. Precision advisories within the workflow inform providers on appropriateness and superior diagnostic and treatment strategies. Coupled with a prior authorization strategy that automates the medical review process, this can substantially reduce both provider and administrative burdens. NDSC is a preferred vendor for the top EHRs and its solutions are in use across the entire healthcare provider market, logging millions of CDS transactions in all 50 states. Organizations range from large, multi-state, integrated delivery networks to standalone ambulatory care settings, and they trust NDSC’s CareSelect Platform to manage and track the actionable delivery of thousands of evidence-based guidelines within the EHR. These guidelines help organizations comply with regulatory requirements, benchmark and reduce variations in care with the goal of improving care, reduce costs and streamline communications between providers and payers. NDSC has unmatched experience with workflow integration of clinical guidelines. That intellectual capital combined with its close working relationships with the best content sources and EHR vendors gives NDSC a perfect recipe for continued success. Our team of clinicians, informaticists, engineers, and data scientists sustain and continuously improve a central source of best advice, scalable as a cloud-based service for any and every hospital, with minimal deployment impact. We are proud to lead the way to better, more affordable healthcare in America. √ Read about Einstein Healthcare Network’s success in leveraging their implementation of CareSelect Imaging to develop a custom PECARN subroutine to determine the appropriateness of CT for pediatric patients with minor head trauma. √ Learn how Mayo Clinic saw a 33.6% average reduction in volume across the ordering of Red Blood Cells, Platelets and Plasma with the deployment of the transfusion guidelines now in CareSelect Blood. 1. Cost containment is a top priority among health system executives, by Alex Kacik, July 11, 2018. CareSelect™ Blood marries NDSC’s seamless approach to integrated CDS with Mayo Clinic’s transfusion and PBM expertise. Jamie Kelly provides insight about how this newly launched solution will impact patient blood management for both patients and providers. 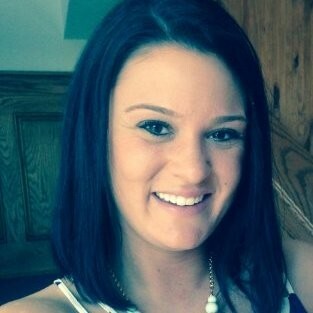 Jamie joined NDSC in January of this year, with a background rooted in health IT from the ambulatory EHR field. She serves as an Account Executive and collaborates with the NDSC and Mayo Clinic teams to help advance NDSC’s newly launched CareSelect™ Blood product. Approximately 50% of transfusions aren’t clinically indicated. In addition to wasting resources, these unindicated transfusions cost billions of dollars for health systems and can cause adverse reactions for the patient. Reducing blood use saves health systems, patients, and insurance carriers money. More importantly, it reduces the length of hospital stays for patients, mitigates waste and saves lives. What is your role at NDSC and what aspects do you enjoy the most? In addition to selling CareSelect solutions, I have taken on the role of collaborating with the NDSC and Mayo Clinic teams to help advance NDSC’s newly launched CareSelect™ Blood product. This entails being the product expert, knowing the field of patient blood management and ensuring that the platform’s capabilities are properly communicated. My favorite part about being on the NDSC sales team is the collaborative and supportive team effort. We all work together and help one another with no questions asked, and we have fun doing it! What are you most excited about for your team this year? I am most excited about bringing CareSelect Blood to market. It’s always both a thrill and a challenge when you have a new product to sell. The fact that this solution is different than anything else NDSC currently has on the market makes it that much more exciting. CareSelect Blood represents the expanded relationship between NDSC and Mayo Clinic, marrying our technology with their operational consulting. Why is patient blood management (PBM) important to you? Blood is a finite and costly resource. Even so, blood transfusions are one of the top five overused medical interventions nationwide. CareSelect Blood is a much-needed solution to help guide appropriate use. Approximately 50% of transfusions aren’t clinically indicated. In addition to wasting resources, these unindicated transfusions cost billions of dollars for health systems and can cause adverse reactions for the patient. Reducing blood use saves health systems, patients, and insurance carriers money. More importantly, it reduces the length of hospital stays for patients, mitigates waste and saves lives. Can you explain the current landscape of patient blood management? PBM is a well-documented and validated approach for health systems to improve profitability as well as patient outcomes. However, most health systems have only scratched the service in their PBM efforts. Red Blood Cells (RBCs) are an easy place to start, but that can’t be the end. There is so much more that can be done that is often overlooked. One in 10 hospitalizations still has a transfusion associated with it, and we see an opportunity for that number to be reduced. Why is there a need for a Clinical Decision Support (CDS) solution, such as CareSelect Blood? While we know a successful PBM program must start with education and understanding, the power comes with the ability to impact change – and then to measure that impact – at the point of care. CareSelect Blood marries NDSC’s seamless approach to integrated CDS with Mayo Clinic’s transfusion and PBM expertise. This unique solution removes the barriers often presented by over-burdened IT departments, and helps put the required organizational structure and governance in place. Can you elaborate on the components of CareSelect Blood and how they were developed? This comes back to our partner, Mayo Clinic. After working with one another to develop CareSelect Lab, we saw patient blood management as the clear next step in our partnership. We knew that, in true Mayo Clinic fashion, any PBM program they could create would go above and beyond anything available on the market today. Mayo Clinic pushed past market standards like hemoglobin thresholds and blood unit limitations to tackle a much more comprehensive set of pervasive issues across all blood products and blood management. We couldn’t be happier with the 100 plus rules they’ve authored in combination with the end-to-end consulting that will operationalize the program. It’s also important to note Mayo Clinic’s condition-driven approach. Blanket alerts aren’t firing across the organization. They are tailored to the setting and even the individual patient. This creates a targeted and meaningful approach to help guide providers. What aspect of NDSC’s CareSelect Blood do you find most valuable and why? It’s hard to pinpoint a specific rule, module or program aspect. I find the value stems from the fully integrated program that is tailored via customized engagement for every client. Are there tangible examples of the benefits of implementing CareSelect Blood into an EHR? Mayo Clinic Hospital – Rochester saw a $5.3 million reduction in one year across all blood products, and that was just in purchase price alone. As a nation, we spend upwards of $6 billion annually on blood, creating a huge opportunity to cut back. When reviewing the potential in the market, we are confident our clients can realize a 20-30% reduction in overall blood product use, with aggressive health systems achieving up to a 50% reduction. Looking forward, can we expect CareSelect Blood to evolve as the needs in PBM change? Absolutely. If there is one thing we can count on in healthcare, it’s constant change. CareSelect expanded from CareSelect Imaging to now include Lab and Blood solutions. We already have other solutions in the works, and our existing offerings will continue to progress and develop as the industry necessitates. I live with my husband, Matt and black lab, Henry. Outside of work, I am a trained yoga instructor and an untrained dog whisperer. I also love to travel, watch way too much true crime TV, and brunch like it’s a sport. Implementation of ACR Select® led to significant improvement in the appropriateness scores of ordered imaging tests in a recent JACR published study. 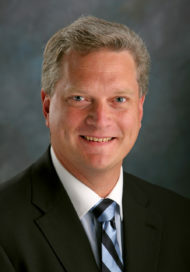 In addition to his executive positions at UVA Health System, Dr. Gaskin co-authored the recent JACR published study, Impact of a Commercially Available Clinical Decision Support Program on Provider Ordering Habits, revealing implementation of a commercially available Clinical Decision Support (CDS) tool integrated into the EHR provided a significant improvement in imaging study appropriateness scores. In the JACR study, ACR Select® was integrated into UVA’s EHR, without displaying appropriateness scores for 6 months. Then, appropriateness feedback was “turned on” at order entry for adult patients in the emergency and inpatient settings for 24 months. 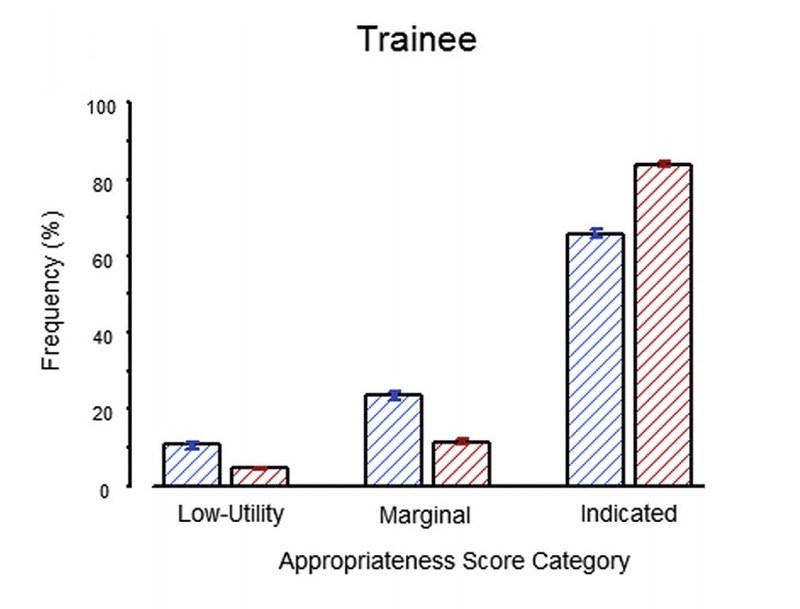 The appropriateness scores of imaging tests before and after displaying feedback at order entry were compared and evaluated by modality and attending versus trainee status. After implementation of a commercially available Clinical Decision Support (CDS) tool integrated into the EHR, there was a significant improvement in imaging study appropriateness scores, more pronounced in studies ordered by trainees. Electronic order entry became standard, there were existing appropriateness criteria, and providers sometimes ordered the wrong imaging tests. Thus, even before the Protecting Access to Medicare Act (PAMA) of 2014 mandated decision support, it made sense that this should all be put together to ensure patients get the best care. Tell us more about your role at UVA. In the current context, I lead UVA’s Clinical Decision Support program for the ordering of imaging tests. I work with technical, clinical, and administrative staff to optimize our implementation, hopefully for the benefit of our patients and referring providers. What motivated UVA’s initial adoption of ACR Select? The radiology department at Massachusetts General Hospital published their success with home-grown decision support integrated with imaging order entry. We were impressed by this idea and in 2010 we thought it was a logical part of the future for everyone. Electronic order entry became standard, there were existing appropriateness criteria, and providers sometimes ordered the wrong imaging tests. Thus, even before the Protecting Access to Medicare Act (PAMA) of 2014 mandated decision support, it made sense that this should all be put together to ensure patients get the best care. We waited for a product that we felt could be successful at our institution, and we decided to move forward with ACR Select. It was important to us that the clinical content had long been curated by the American College of Radiology in the form of its Appropriateness Criteria. It was also important to us to have the right technical knowledge regarding how to integrate with our electronic health record Epic. After all, the program could only be successful if the ordering experience was acceptable to ordering providers. What was the impetus for the study, and who was involved? We were an early adopter of commercially available decision support. While we believed in the concept, we were also aware that an early generation effort could fail. We knew that our providers had largely accepted the user experience, but we wanted to know if positive impacts had actually occurred. Specifically, we sought to determine if our efforts had led to improvements in the appropriateness of imaging orders. Our study team involved radiologists, a database analyst and a statistician. Please summarize key learnings from the study. Our implementation of a commercially available decision support program was associated with a significant improvement in the appropriateness scores of ordered imaging tests. This was true for MRI, CT, and ultrasound. Among provider groups, trainees exhibited a greater response, but faculty also showed improvements. We did not study outpatient orders, because our early implementation involved only the inpatient and emergency department settings. I’d also like to emphasize that our implementation did not involve any incentive or penalty to comply for ordering providers. Figure. The percentage of low utility studies ordered by trainees decreased from 10.8% to 4.8% and the percentage of indicated studies rose from 65.6% to 83.7%. UVA has recently expanded its installation to CareSelect™ Lab, how will these findings inform your future decision support strategy? Clinical Decision Support has potential to inform, and positively impact, many types of orders. It is our hope that thoughtful implementation can support our providers by informing their care decisions in a helpful manner. If we continue to see benefits, we will continue to expand decision support. Dr. Ryan Lee and Einstein Healthcare Network incrementally implement the CareSelect™ Platform to to both provide patients with better quality care at a lower cost and provide clinicians with evidence-based knowledge at the point of care. Clinical decision support (CDS) is a tool that aims to increase appropriateness and decrease unnecessary utilization. Although the Medicare Appropriate Use Criteria Program, which mandates consultation of appropriate use criteria (AUC) via electronic CDS for advanced imaging orders, doesn’t begin until 2020, many organizations have moved forward with implementation in order to experience the benefits of CDS. Members frequently ask our research team if imaging CDS “works.” In other words, does this tool positively affect ordering behavior? A research study from University of Virginia Health System (UVA) sheds new light on the tool’s effectiveness. What Can Clinical Decision Support Do for Your Practice? Starting Jan. 1, 2020, the Protecting Access to Medi­care Act (PAMA) will require referring providers to consult Appropriate Use Criteria (AUC) prior to ordering advanced diagnostic imaging services (including CT, MR, nuclear medicine exams, and PET scans) for Medicare patients. Providers can access imaging AUC via stand-alone electronic clinical decision support (CDS) systems or software embedded in a physician’s EHR. The ACR and the National Decision Support Company (NDSC) have developed CareSelect Imaging®, which uses the ACR Appropriateness Criteria® (AC) to guide providers ordering imaging for patients. Not only does such a system aid providers in selecting the correct care path for patients, but some practices have worked with their payers to use CDS in place of prior authoriza­tion by radiology benefit managers (RBMs).